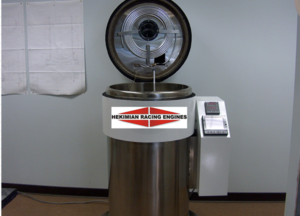 Vacuum Insulated Cryogenics sound like science fiction, but they’re facts of life at my shop, Hekimian Racing Engines. As a physicist and scientist in my former life, I’ve translated certain practices into ways to improve upon an engine’s performance. I’m here to help you understand how vacuum insulated cryogenics can benefit engine parts and overall performance. I opened Hekimian Racing Engines in Watertown, MA in 1987. I also have a laboratory in Burlington, MA that is closed to the public where I do research for engine development. I won’t spill any top secret info, but I’ll explain how cryogenics work and why you should consider using it more often. 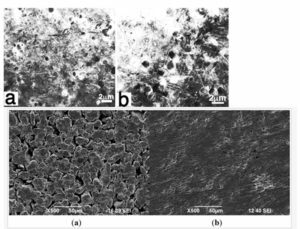 Heat-treating material to make it stronger has been around for a long time, but what the early pioneers didn’t know was that exposing materials to extreme cold temperatures could have the same and even far greater effect. Not to mention, liquid nitrogen (LN2) and the means to handle it were in short supply back then. Enter cryogenics, a process in which material such as steel and aluminum are exposed to severe cold, down to -320 degrees F to make them more durable and stabilize the metal or aluminum. The closer you get to absolute zero (-459.67 F) the better, but once you cross that line of -460 F – a point of severely diminishing returns – everything explodes into a powder-like substance. However, correctly applying Vacuum Insulated Cryogenics technology to engine components and machine tools can allow those materials to last three to five times longer, and in some cases, longer than that. At my shop, engines are built with the option to have the blocks, crankshafts, cylinder heads, pistons, and anything that has a wear process, treated in a vacuum-insulated cryogenic chamber. There are two primary keys to the success of this process. 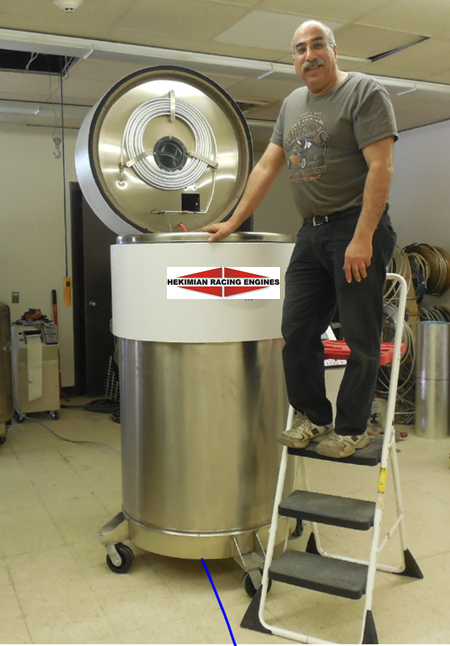 The first is the design of the cryogenic chamber, also called the cryogenic processor. Our machines hold a U.S. patent. The chamber’s proprietary shape (cylindrical) optimizes LN2 to evenly disperse the -320-degree F temperature, but never hit the components. It only cools down the chamber. If the liquid nitrogen were to touch the components this would be a latent disaster. The second key to success is the rate at which the components are cooled, brought back to room temperature and then tempered to +300-degrees F, then back down to room temperature. This process occurs over a four-day period. The process brings down the temperature slowly, so many degrees per minute, and then holds it at -320-degrees F for 10-12 hours to be sure the atomic microstructure can get very close together and eliminate any internal voids and stress risers in the component. Then we start heating up slowly, all the way to +300-degrees F for tempering. This relaxes the metals that just went through a chaotic math state. From there, the temperature is brought slowly back down to room temps. This entire process is computer controlled to the exponential degree and changes the metal completely. I compare this treatment to going from steel to Kryptonite. If not properly applied, cryogenics can do more harm than good. The process can produce latent damages and structural problems in treating metal that, though not immediately apparent, will become apparent in an engine’s life cycle. However, using Vacuum Insulated Cryogenics, flaws and voids internally are taken out. It also removes the microscopic peaks and valleys on the surface of the metal resulting in the ability to make more horsepower, torque and long-term reliability. One small example is seen with the rotating assembly. When oil travels around the rod and main journals it actually aerates the oil and heats it up causing a loss of lubrication. After cryogenics, these peaks and valleys on the polished journals are gone so oil can do its authorized job of lubricating. How many times have you seen valve seats distort in the aluminum head? Too many times I’m afraid. Aluminum (and in fact all metals, even the strongest ones out there), moves around due to the fact that there are still voids in the core of the metal. After cryogenics, the metal is now stable and proper tolerances are in place to stay. Again, the results are longevity, more horsepower and more torque. Every part of the engine has measurable benefits after a cryogenic treatment. With engine blocks, bores stay straight, ring seal is enhanced and bore wear is less due to the micro peaks going away. In crankshafts, flex goes down to near zero depending on material and oil is not aerated. Connecting rod tolerances are held, distortion is eliminated and durability is increased. For pistons, ring seal is enhanced and ring clearances are held. Tighter tolerances can be achieved to increase dynamic compression. If you put camshafts through a cryogenic treatment the core flex becomes less and you see more valve train stability. Journals also take longer to wear. 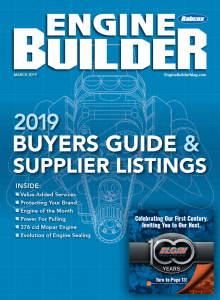 With valves, valve jobs last longer, stems wear less and you find cooler valve guides where the bores stay round longer and oil is properly lubricating. Valve springs hold spring rates longer and rocker arms/shafts become more durable during high stress and thermal loads. Cylinder heads become very stable and exhibit zero walking and tighter tolerances can be achieved. Cryogenics can slow down breakage and slows down any voids. Many other parts will have similar benefits – transmissions, differentials, clutches, wheel bearings, axles, brakes – the list is almost endless.